Mix together meat, garlic, pepper, onion, olives, raisins, capers, bay leaves, cumin, oregano, tomato sauce, and wine in a bowl. Cover and set aside for 30 minutes. Heat oil in a large pot over medium heat. 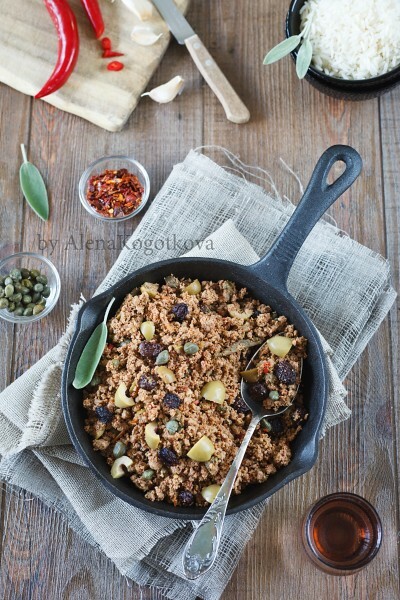 Add minced meat and cook, breaking up meat with the back of a spoon, about 40 minutes. Season to taste with salt. Serve over white rice, if you like.